WIFI Network Design & Installation Services Birmingham, Bloomfield Hills MI CALL TODAY! The internet. You can’t live without it. Seriously. Wi-Fi is a high commodity these days. Kids want it so they can have access for their homework…and their videogames. Parents need it to meet deadlines. It is connects you everywhere! But good Wi-Fi is rare. Imagine you and your significant other are sitting down to watch your favorite show on Netflix, you’re at the climax of the show, and BAM! you’re buffering. Your teenagers now have attitudes because they can’t Facetime their friend or play Xbox. Did you know The Sound vision can fix that? Yes, we can help to provide seamless communication throughout your smart-home so that you are getting the best Wi-Fi coverage possible. Your Wi-Fi or wireless network is a must have for everyone now days. The most common system is some black box leased to you by your service provider. These all in one units are made to cover 2500 square feet maximum. Typically these all in on devices are installed in the easiest corner of your home for their technician to reach. Well that means you will have Wi-Fi in that section of your home but what about the rest. Well it is all too common to find home owners deploying these wireless repeater systems that create more confusion than refuge. These devices may broadcast your network name but rarely can you connect properly. Unbeknownst to most homeowners these repeaters cut the network speed in half before it reaches your laptop or tablet. We at least one house a week that has multiple network names and spotty coverage. There’s magic in the air, and it’s called Wifi. characters are about to… you will never know because your Wi-Fi went out. Your teenagers now have attitudes because they can’t Facetime their friend or play Xbox. Did you know The Sound vision can fix that? Yes, we can help to provide seamless communication throughout your smart-home so that you are getting the best Wi-Fi coverage. We run diagnostic tests that help us create access points that provide full Wi-Fi access to the house. Here’s a question for you. “Would you rather go a day without running water or be without Wi-Fi at home?” Don’t worry we won’t tell anyone you choose to miss a shower day (after-all you have teenagers!)! 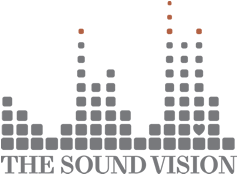 The Sound Vision will help you never have to make that choice. Security is the cornerstone to the home network. We offer several security appliances to protect your family’s activity online. In fact, our networks are so advanced they can actually notify you if somethings not quite right. If the network needs to be reset, we can handle it remotely, getting you back up and running in minutes rather than hours or days. Have a question your WIFI and data network?